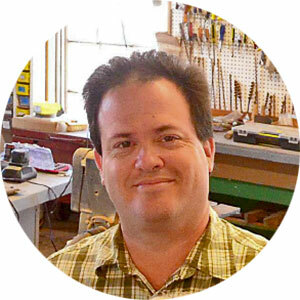 Todd Thomas is co-owner of Thomas and Thomas Development, a sustainable and green design-build firm based in Newport, RI., and member of the 3T Collaborative. A graduate of Rensselaer Polytechnic Institute in Architecture and Building Sciences, his design experience includes multi-million dollar bio-tech research facilities, affordable housing, and major historic restoration projects. He serves on the board of Ft. Adams Park. Todd and his team follow green/sustainable design principals and practice the integrative design process. As a leadership and management consultant for cultural, educational, and community organizations, Andrea Rounds specializes in building bridges between the for-profit and nonprofit sectors. Prior to her career in advancement at Brown and Columbia universities, she was President of Dodger Touring, a theatrical booking and marketing company, which represented national touring productions of Broadway shows. Andrea holds a MA in Performing Arts Management from American University and an AB in Comparative Literature from Princeton University. 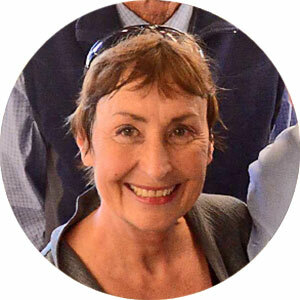 Jane Lavender is the former Director of Senior Services for the Town of Stoneham, Ma. and retired Alderman for the City of Melrose, MA., serving four elected terms on a board overseeing the city's budget of $50-60 million. Mrs. Lavender serves on the board of the Bristol Art Museum and the Steering Committee for Explore Bristol. A former owner of two successful businesses, she knows the importance of supporting local community collaborations such as Tinker. Gina Macdonald is a Managing Director of Promontory Growth and Innovation, a Washington DC firm where she specializes in helping large companies (>2,500 employees) increase profits. Earlier, she was CEO of two software companies and was President and CEO of Fleet Real Estate Capital. She currently serves as President of the Mt. Hope Trust in Bristol, co-chairman of Preserve Rhode Island and a director of the Bristol County Water Authority and Radius Bank in Boston. SecretaryRetired Raytheon executive; Captain U.S.Navy (ret. ); URI Master Gardener (Intern); board member of Linden Place. Garry Holmstrom had command of Navy Surface Combatant ships, worked on technology, missile and missile defense programs then joined Raytheon Integrated Defense Systems until retiring in 2014. Serving on several Bristol, RI committees and organizations since moving back to Bristol in 2000, he pursues interests in his family, sailing, Bristol’s vast potential and improving quality of community gardening. He has degrees from US Naval Academy, US Naval War College and Harvard Kennedy School of Government. Mike Byrnes is Co-founder and Co-Chair of Explore Bristol. A retired Brigadier General U.S. Army, he served the US Embassy in Beijing as the Defense Attaché to China and Mongolia, remaining in China as Vice President for China Operations at Rockwell Automation and President for Tyco International. Mike is currently the President of Middle Kingdom Advisors and a Senior Advisor to Yuan Associates, which assists US enterprises enter, expand and operate in the China market. 3T Collaborative; owner of Chaves Construction, a residential and commercial construction company. Fran Chaves has 47 years of experience in the construction field in New England, including residential, retail and institutional building projects such as dormitories at Roger Williams University and historic structures at Ft. Adams National Park in Newport, RI. A native of Bristol, RI and active in the East Bay community, Fran served 10 years as a special officer with the East Providence Police Department and is a trained EMT. He is a licensed pilot. AVP for Strategy and Resource Development at Brown University; fundraising and nonprofit management professional. Elizabeth Crabtree is a fundraising and nonprofit management professional currently serving as Assistant Vice President for Strategy and Resource Development at Brown University. Prior to her career in the nonprofit sector, Elizabeth worked in sales and marketing in the consumer products and manufacturing industries, as well as in arts management as a talent agent. Elizabeth is a graduate of Berklee College of Music and an alumna of the Philanthropic Studies program at Indiana University. Halsey C. Herreshoff is a grandson of Captain Nathanael Greene Herreshoff, America's greatest designer and builder of seagoing craft, including six America's Cup winners. A graduate of Webb Institute of Naval Architecture and M.I.T., Halsey himself has made designs from which 10,000 yachts have been built. A veteran of four America's Cup matches and many ocean races, today Halsey skippers his revered Herreshoff yawl RUGOSA. He has served elective office in Bristol for a record 33 years. Founder and manager of KMRM, LLC, which develops strategies that accelerate the transition of government technologies to products, Tom Kowalczyk provides technical support to the Department of Homeland Security’s Science and Technology Directorate. He holds a BS in Electrical Engineering and MS in Management from MIT, and a MS in Electrical Engineering from Johns Hopkins University. Tom is committed to developing initiatives that encourage, engage and educate K-12 students in Third Industrial Revolution manufacturing technologies. Tim MacDonald is Senior Fellow at Capital Institute, leading research into new pension investment choices. As Senior Fellow at Capital Institute, leading research into new pension investment choices, Tim MacDonald brings extensive knowledge of existing and evolving financing options to Tinker|Bristol. A graduate of Boston College, Boston College Law School and Boston University Graduate Tax Program, Tim is investigating the evolution of new collaborative, cash flow based equity investment models, designed to deliver positive social impact and exemplary fiduciary performance for pension trusts, scholarly endowments, charitable foundations and similar fiduciaries. Co-owner of Thomas and Thomas Development, a sustainable design-build firm in Newport, RI, Jessica Thomas provides project oversight, safety review and green energy expertise. She holds a masters degree in hydrogeology from Rensselaer Polytechnic institute. Her experience includes national level site/civil engineering firms and multi-site projects for clients, such as, CVS, Shell, Mobil, and Sprint. A member of 3T Collaborative, Jessica specializes in site remediation, ground water contamination, risk assessment and Phase 1-5 Environmental reporting. Back Row, from Left to Right – Halsey Herreshoff, Todd Thomas. Front Row, from Left to Right – Andrea Rounds, Francis Chaves, Gina Macdonald, Garry Holmstrom. Not pictured in the photo are Mike Byrnes, Jane Lavender, Tom Kowalczyk, Tim McDonald, and Elizabeth Crabtree.